Manikaran is a popular pilgrimage site for both Hindus and Sikhs religion and situated in Kullu District of Himachal Pradesh. 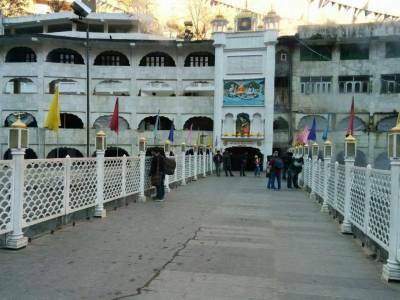 The Manikaran Sahib, a gurudwara or a holy place of congregation for prayers in the Sikh religion, was constructed in Manikaran, it had an even dated precedence of reverence and religious significance. 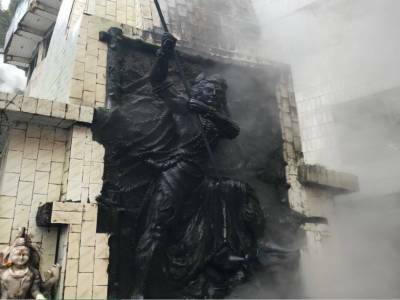 This particular association with religious reverence goes back as far as mythology and Manikaran finds mention in the oldest of Hindu scriptures dating back to the end of the 4th Ice age. 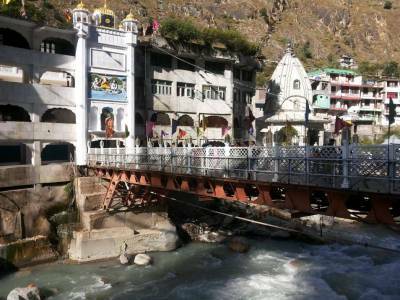 Manikaran, the name of a far off mountain hamlet playing home to one of the most revered Sikh shrines, derives its name from a mythological story involving Hindu deity Shiva and his consort Parvati, documented in the Hindu scriptures. The name of the place literally translates to Ear Ring. Mani means gem or precious stone and Karan means ear. So together the gemstone on the ear can be referred to an ear ring and story contributing to its nomenclature refers to how once the consort of Shiva, Goddess Parvati had lost her ear ring which was very precious to her in the stream nearby and no one could find it successfully from the river bed till the Lord Shiva himself caused the river bed to erupt and out came many precious stones including the lost gem. Till date the same rivulet exists, in the present day known as Parvati River which has no distinct source but owes its origin to the Maan Talai glacier. And very typically resplendent of the secular fabric of India, the Manikaran Sahib Gurudwara and the Temple to pay homage and reverence to Lord Shiva exist side by side, although both shrines are of different faiths, namely Sikh and Hindu respectively. The biggest wonder of this place is Nature itself. At spine tingling and bone chilling temperatures in the winters and even in summers, when the mercury drops down to single digits and often below zero degrees with snow all around, the same place near the Lord Shiva temple where the river bed had erupted to return the lost gem of his consort, till date lie two hot water geysers, which are amazingly hot and almost at boiling temperatures despite the surrounding temperature. This is the magic of Nature. 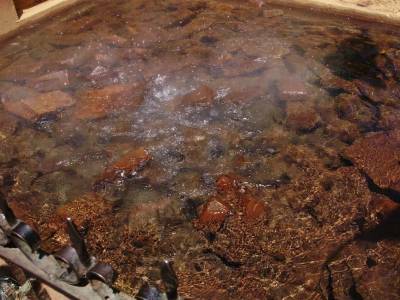 When one arrives, they are shivering uncomfortably with cold, but one dip braving the chilly wind in the hot water geysers and immediately the body is acclimatized to the surroundings no matter what the temperature is. 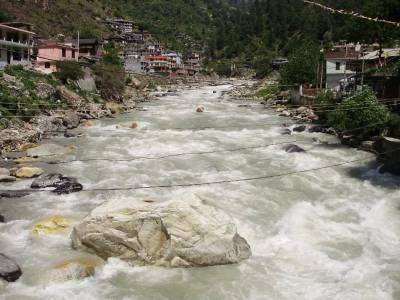 Get quick answers from travelers who visit to Manikaran.